Air, hotel, and taxes included. 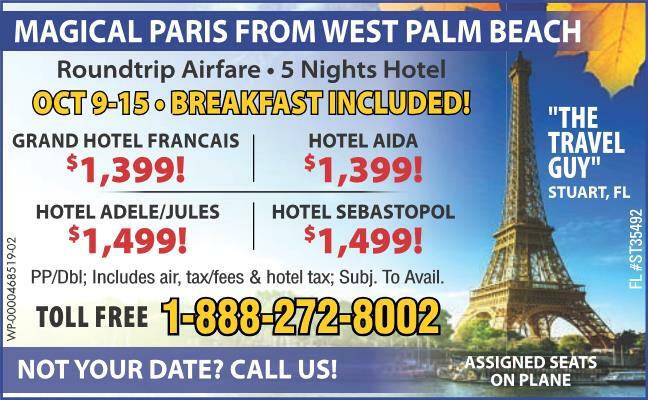 Package includes roundtrip airfare and 5 nights Hotel, and taxes. Prices are per person based on double occupancy and prices are subject to availability.